Brief Description: One of only a few authentic Thai restaurants that I’ve discovered in the city. 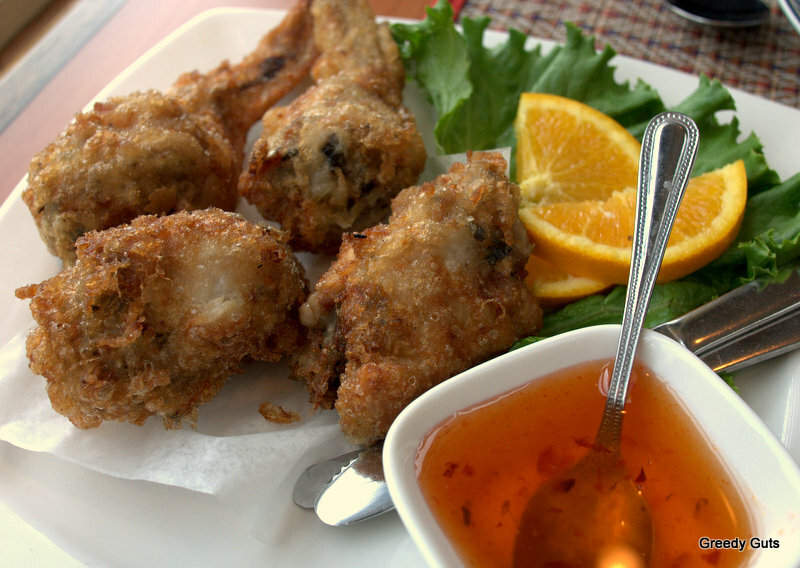 Tucked up on Main street and 27th street, this family-owned restaurant serves up tasty Thai dishes at affordable prices. I almost want to blow off my “visit three times before reviewing” rule with Sawasdee. Spoiler alert!! So far, I’m really impressed with the food and the service at this friendly restaurant. I was there again this past weekend and even though I could have been extremely content re-ordering exactly what I ordered on my first visit (stuffed chicken wings, panang curry and pad Thai), we opted to order completely new dishes so we could get a better idea of what is on offer at Sawasdee. I have never seen, let alone tried, the cho muang before. 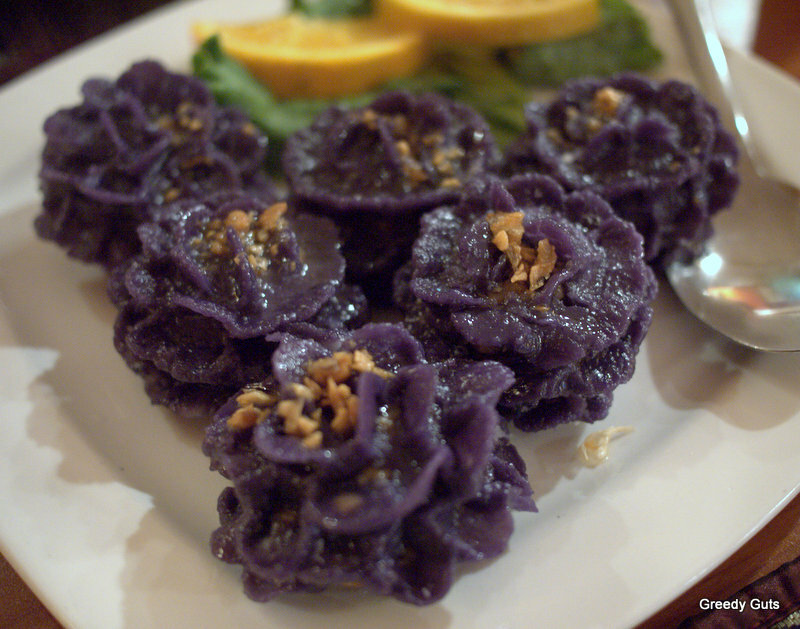 Cho muang is intricate flower-shaped chicken and spice dumplings. I couldn’t help wonder how they managed to shape these so delicately and so true-to-form. My favourite dish for the night was the garlic beef. The meat was thinly coated in a sweet/savoury sauce, almost like a marinade, and the dish paired well with the coconut rice that we ordered as a side. The rice had kept its texture well and wasn’t a sloppy mess like other rice sides that I’ve had in the city. The red curry with prawns was quite good but without the servers asking about what level of heat you would like, I keep forgetting to order it hotter than their standard curry. Personally, I like a bit of kick to my curries and their regular curry just isn’t hot enough for me. My one suggestion to the servers, who have been extremely friendly, would be to prompt diners for their heat preference. Knowing how desperate I have been for authentic Thai food since my return from Thailand in January, a good friend mentioned that she regularly visits Sawsadee on Main Street (at 27th). I made it a priority to visit over the weekend and with the first taste of the Panang Chicken and the first forkful of Pad Thai, I knew that I had been directed to some of the best Thai food in the city (Maenam being the only other notable mention). This is the exact reason why I love getting referrals! 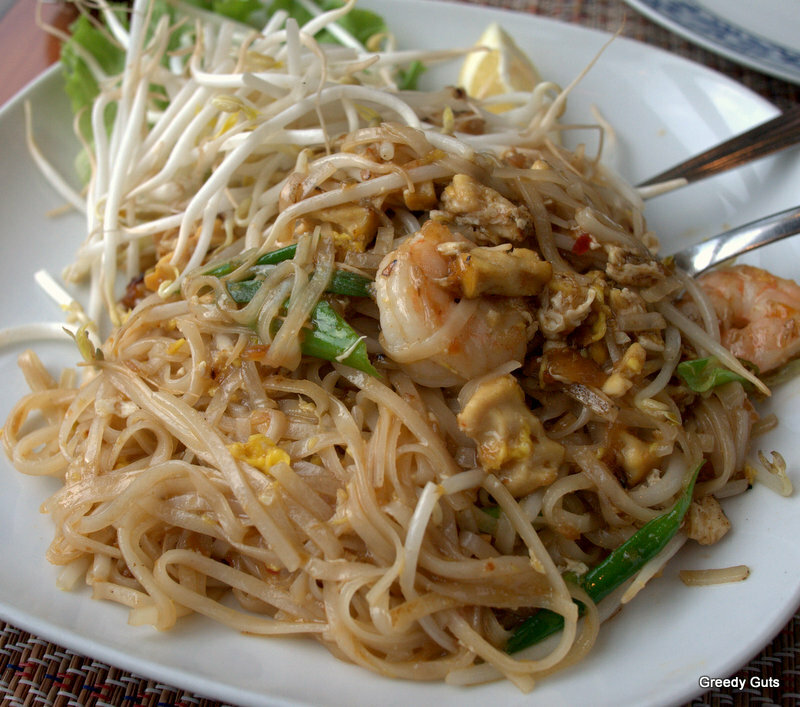 The Pad Thai was not the typical North American take on the dish that I’ve found in countless restaurants in the city – instead it was made with tamarind paste, rather than with overly sweet tomato sauce (although that is an option). The tamarind paste version was exactly like some of the Pad Thai that I sampled in Thailand. More please! 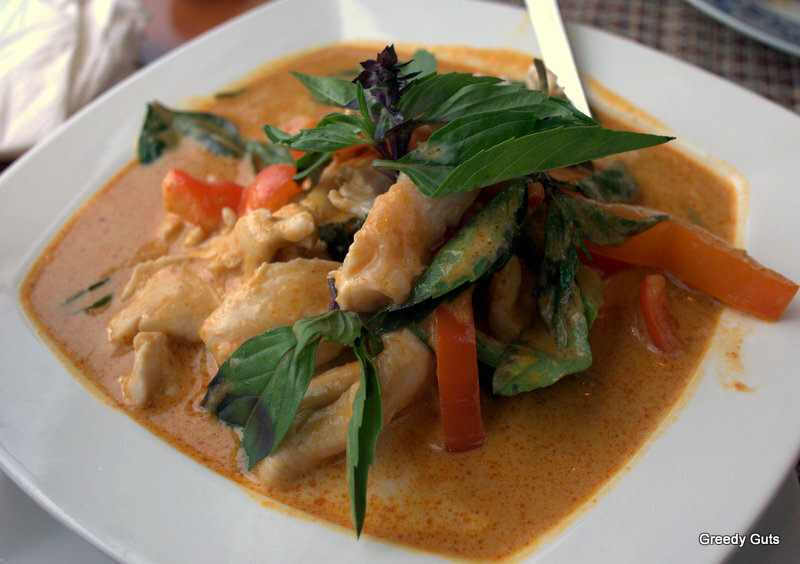 Panang Chicken is my favourite Thai dish, although red and green curries are also strong contenders. The Panang Chicken at Sawasdee was the right level of thickness, with a slight hint of sweetness, and it wasn’t over-garnished with a ton of not-necessary vegetables. You can choose different levels of heat and, unfortunately, I forgot to specify so next time I will be ordering it with some spice as I prefer my curries with more heat than their standard version offered. I did find that the stuffed chicken wings (one of my favourite market snacks) stuffing was lacking in flavour and I did find a few small pieces of bone in my wings so I will likely give these a miss next time. That’s a shame as I don’t find them on menus in Vancouver often. This was only my first visit to Sawasdee but I’m already planning a return trip with my sister so I hope to do a full post soon! 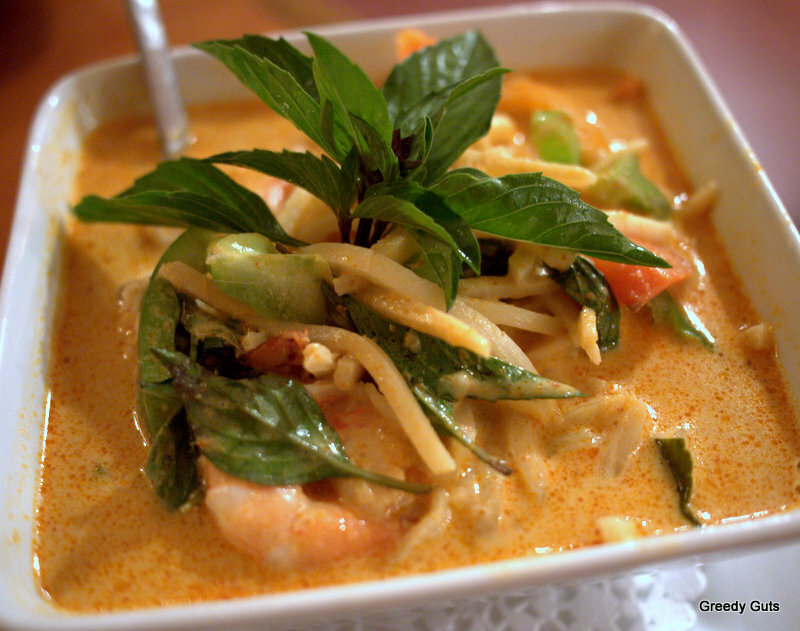 What is your favourite Thai restaurant in the city?